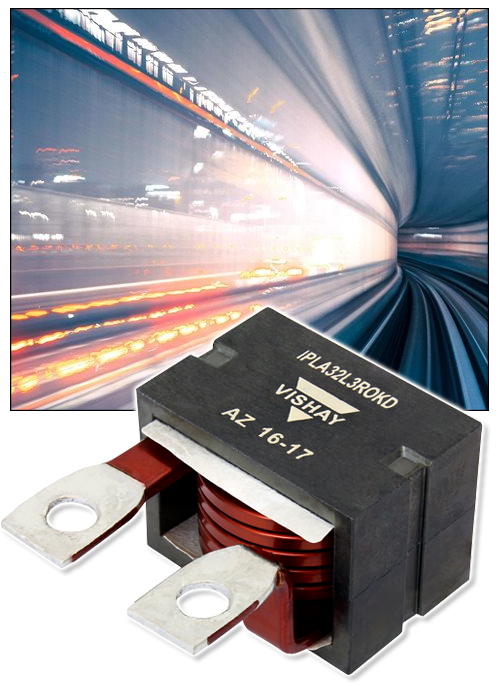 November 7, 2018 - New Yorker Electronics is now distributing the new Vishay Sfernice IPLA 32 High-Current Shielded Planar Choke Inductor. This new device offers the same performance as wirewound devices in a fraction of the space. It measures just 31mm by 43mm by 22.2mm but is rated for currents up to 110A, allowing high power density DC/DC converters to occupy a significantly smaller footprint. With a recommended frequency range of 100kHz to 800kHz, the IPLA 32 enables more compact and lightweight DC/DC circuitry in electric and hybrid cars, off-road vehicles including forklifts, and all manner of embedded systems. The IPLA 32 is available with standard inductance values of 1μH, 2μH, 3μH and 4μH. Magnetically shielded for low EMI, the inductor features a high self-resonance frequency and very stable performance versus temperature. In addition to the standard versions, the IPLA 32 can be offered with various pin-out designs, current ratings, and inductance values. The device features an operating temperature range of ‑55°C to +125°C and typical thermal resistance from 2W/°C to 10.5W/°C depending on the type of heatsink used. 3D models are available to assist the design-in process. New Yorker is a franchise distributor for Vishay and supplies its complete line of discrete semiconductors (diodes, MOSFETs and infrared optoelectronics) and passive electronic components (resistors, inductors and capacitors), as well as its full line of Vishay Super 12 Featured Products.